Episode 150 features Jia Bin, who hails from China. She is currently living in Michigan in the U.S. while studying for her Master’s degree in secondary education. Jia taught English in China for 9 years, and is currently teaching Chinese here in the U.S. to high school students. Listen in as Jia describes why she wanted to come to the U.S. She was looking for a way out and thought she’d find the answers to stuttering in the U.S.
We have a fascinating conversation about the cultural differences between China and the U.S. Jia describes China as a “culture of shame” where it comes to being different. In China, it’s all about being the same. Differences are shameful and shame is hidden in China. 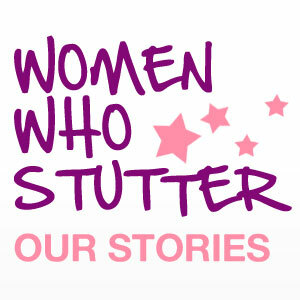 We also have a rich discussion about covert stuttering, finding support through the National Stuttering Association and stuttering with confidence. We also talk about Jia’s speech therapy experiences and the huge emotional attachment that stuttering really is. She talks of carrying her country on her back when she talks. This was a great conversation that could have gone on for hours. Feel free to leave comments or questions. 2 Responses to "I Still Stutter – Episode 150"
Hi James – I don’t know what you are referring to. Do you mean Anna Deeter?